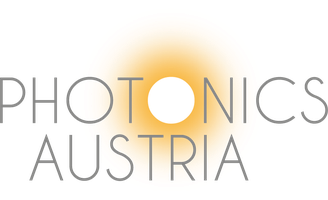 New world record for data transmission over commercial off-the-shelf light emitting diodes - photonics-austrias Webseite! An astonishing percentage of about 90% of all the bits transported through the internet are conveyed over light-based communication links, reaching from antenna sites of mobile networks towards data centers anchored deeply within the worldwide communication infrastructure - and soon within in-house environments. Paramount to all photonic communication networks are opto-electronic transceivers that convert data from the electrical to the optical domain, and vice versa. AIT Austrian Institute of Technology has now set a new world record for data transmission over commercial off-the-shelf light emitting diodes. A high throughput of 4.3 Gb/s has been demonstrated over a single wavelength, which clearly tops previous demonstrations in the field. The light emitting diode, which was supplied by Austrian company Roithner Lasertechnik, features at high intrinsic modulation bandwidth, which together with analogue signal processing in the radio frequency domain and spectrally efficiency modulation formats leads to a massive throughput in the multi-Gigabit regime. Visible light communication finds prominent attention in short-reach applications requiring a high data throughput. 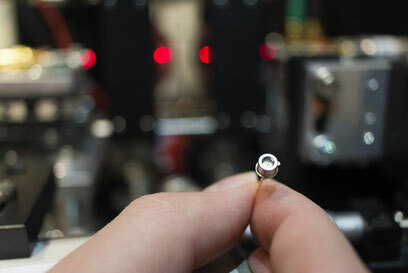 Light emitting diodes promise a cost-effective solution with respect to laser-based systems due to their simplicity and lower cost manufacturing. The findings of the research work, which was conducted under the European Marie-Curie project WARP-5, will be presented in March 2017 at OFC, the world’s largest conference on optical telecommunications. B. Schrenk et al., “Low-Cost Visible Light Communication System based on Off-the-Shelf LED for up to 4.3 Gb/s/?”, in Proc. OFC 2017, Los Angeles, USA, Mar. 2017, W3F5.